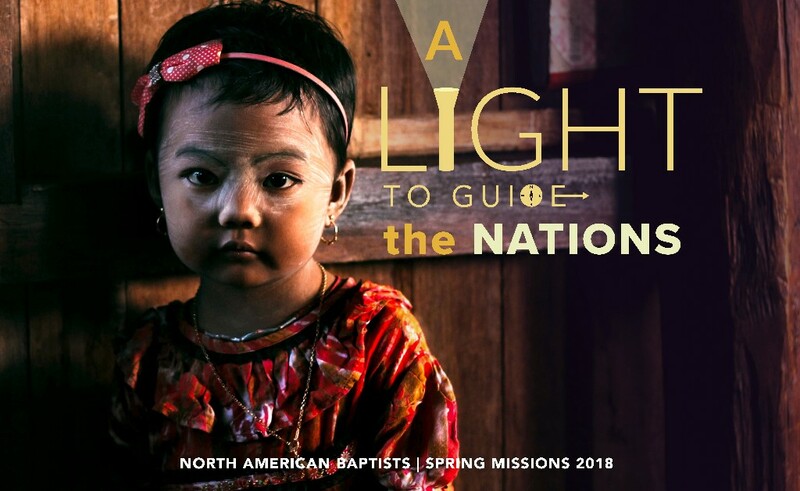 A Light to Guide the Nations – North American Baptists, Inc.
As part of the NAB family, you are one of thousands from around the world seeking to promote God’s Kingdom and spread the Gospel to those who are in need of hearing the good news. Like stars in the dark night sky, when we join together in service to our King, the light of the Son within us brightens the dead of night and illuminates the path to righteousness found in Jesus Christ. Together, we join in support of the NAB missionaries serving in fields across the world. Because the NAB family joins together to support missionaries like Nick and Iris serving in East Asia, they are able to focus on being a light to a people living in darkness. The Spring Missions Offering is one of the biggest ways throughout the year to provide tangible support to all of the NAB missionaries. Click on the link below to find out more about this year’s Spring Missions Offering, discover resources for your church, and hear a story of transformation from Nick and Iris. The latest Servant Link, NAB’s publication that connects retired NAB workers with one another, with the NAB, and with God, is now available online! Check it out below. 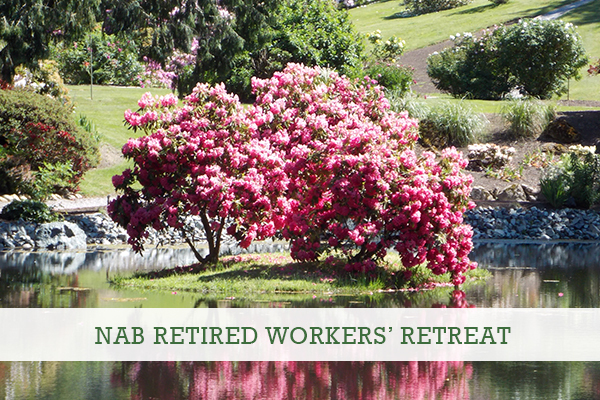 This year’s Retired Workers’ Retreat is coming up May 14–16. Registration opens March 1. Click below for more details and save the date to join Geoff Hartt, Tony Campos, and Ron Norman at this year’s retreat in the beautiful Sumas, Washington. 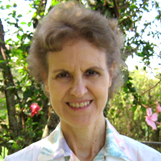 Julie Stone; NAB Missionary; Cameroon. Dr. Julie Stone serves in Cameroon at Banso Baptist Hospital, mostly focusing on teaching, but also caring for patients, which she considers a privilege because she is free to share the truth of Jesus and what He has done to deliver people from the second death. Julie returned to Cameroon at the end of the year after a year-long home assignment. Pray for her continued relationships with the other doctors and the patients. Pray as well for the ongoing political unrest in Cameroon. You can find more information about Julie’s ministry online at nabonmission.org/missionaries/julie-stone.